Para “51. The expression `confession’ is not defined in the Evidence Act, `Confession’ is a statement made by an accused which must either admit in terms the offence, or at any rate substantially all the facts which constitute the offence. The dictionary meaning of the word `statement’ is “act of stating; that which is stated; a formal account, declaration of facts etc.” The word `statement’ includes both oral and written statement. Communication to another is not however an essential component to constitute a `statement’. An accused might have been over-heard uttering to himself or saying to his wife or any other person in confidence. He might have also uttered something in soliloquy. He might also keep a note in writing. All the aforesaid nevertheless constitute a statement. It such statement is an admission of guilt, it would amount to a confession whether it is communicated to another or not. Confession is a statement made by an accused which admit the offence as a whole or substantially all the facts which constitute the offence. Communication to another is not necessary. An accused might have been overheard while uttering to himself or to any other person in confidence. He may have uttered something in soliloquy. It may also be in the writing. Para “12. ….. We are of the view that it is impossible to expect anybody to make an Extra judicial confession in respect of the nature of the crime allegedly committed by the accused/appellant Rajesh in this case, and that to, so soon after the crime had taken place, whilst tampers are very high and there is no likelihood or expectation of forgiveness specially by a person so closely related to the person against whom the crime had been committed….”. 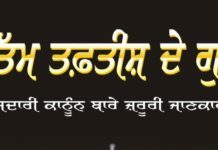 Case (i) : Charan Singh v/s State of Punjab, 2007 (3) RCR Criminal 781 (P & H – HC), in this case, the accused made a joint extra judicial confession before a person. It was a case of blind murder. While holding that joint extra judicial confession is no confession in the eyes of law being joint in nature, the Division Bench of the Hon’ble Punjab & Haryana High Court disbelieved the confession and acquitted the accused. 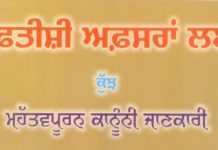 Case (ii) : Jaswinder Kaur v/s State of Punjab, 2008(3) AICLR 436 (P & H – HC), in this case, the accused were facing the charges of murder. They made a joint confession before the witness. While holding, any joint extra judicial confession, apart from being certainly unnatural, has no legal implication to adversely affect the interest of the maker thereof, disbelieved the witness and acquitted the accused.